Although the New Year brings with it a lot of resolutions to fulfil and check-lists for travellers holidaying with family, what takes the cake is deciding on the top international destination to visit this coming year. To help make your decision a tad less unencumbered, here’s a list of top international destinations to visit in 2015 for families. Just the vast expanse of this great land with its diverse array of experiences on offer; from modern civilization to the fascinating wilderness of the outback, from secluded beaches to the peaks that stand gloriously tall, Australia is sure to be a destination to remember. With its beautiful landscape, unique culture, and splendorous natural wonders, Australia is a profusion of delights in every corner. Parse through wondrous excitement and rejuvenating comfort where romance is unbound and possibilities are endless. From hiking up the virgin trails, to swimming through the world's largest coral reef system of the Great Barrier Reef, to enjoying the splendid Australian cuisine in Brisbane, to the splendid architecture of Adelaide, or may be soaking in the legendary sporting atmosphere of packed stadiums in Melbourne; Australia is definitely the place you need to be this coming year. Especially with the ICC Cricket World in 2015 to be held in Australia, it is bound to be a favourite destination for cricket enthusiasts. So, get your Australian slangs in place as Australia is where the fun is mate! Best time to visit: Year-round due to diverse climate and topography. The Land of the Pharaohs, the Cradle of Civilization, with a history spanning thousands of years; if culture, history and sheer visual spectacle are what you are looking at, then Egypt should be first on your check-list. Apart for the world renowned archaeological sites like the Giza and Dahshur Necropolis, with its iconic pyramids, to the monastery complex and Christian pilgrimage center of Abu Mina recognised as a UNESCO World Heritage Site; Egypt is a must visit. Also impressive are the cultural marvel like the Temple of Karnak, Siwa Oasis and Abu Simbel; that has to be seen to be believed. Additionally, the breathtakingly magnificent Valley of the Kings makes Egypt’s historical marvels not to be missed. You may also want to visit the Museum of Egyptian Antiquities which is one of the most culturally and historically rich museums in the world. Once you emerge from the spectacle of ancient wonders, may be it is time to head down to Sharm el-Sheikh and go diving, snorkelling, or take a trip to Mount Sinai. Among the many choices, you can also chose to take in the sights and sounds of Aswan, Luxor and Dahab, which again has a multitude of beautiful places to visit and fun things to indulge in, along with its own charm and splendour to soak in. So when it comes to deciding between Egypt and other destination for its cultural and historical places of interest, you won’t be wrong if you chose Egypt twice. Best time to visit: Between October and April. South Africa, the Rainbow Nation, stays true to its name and is a diverse and rich land. From its wildlife to the wine lands, from the high peaks of the Drakensberg Mountains to the cosmopolitan cities of Durban, Johannesburg, Pretoria and Port Elizabeth; South Africa offers a wealth of delights for one and all in a family. The profuse jewel of destination varies from the picturesque towns of the Western Cape, to the serene peaks of Table Mountain in Cape Town, from the beautiful coast of KwaZulu-Natal, to the lovely beach town of Knysna, from whale watching in Hermanus to the lush greenery and pristine waterfall of Hogsback; South Africa perhaps has more attractions than one visit can pack in. Every region of South Africa has its own unique character, yet all this beautiful diversity blends seamlessly in urban cities that offer a plethora of activities and vibrant possibilities, and encompasses everything a family needs to make their visit truly memorable. So if your choice is South Africa, you definitely won’t regret it as the country is a world in itself. Best time to visit: Between May and October. As it turns out, Dubai is not just about the gold, the oil and the multimillionaires. It is today renowned as an attractive destination. 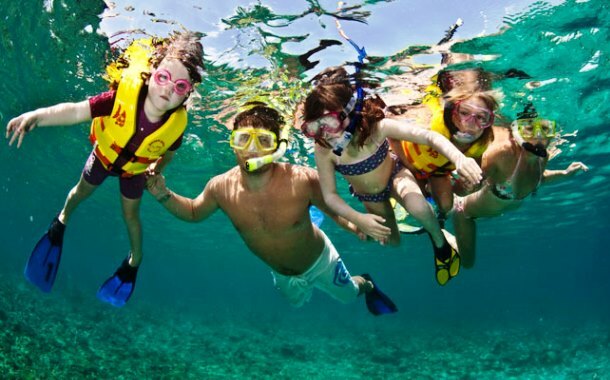 You can pick from a rich blend of experiences to make your family holiday special. From parties to performances and spectacles; Dubai is the place to be in 2015. Dubai is definitely a nice catch for your coming trip. Go through our Dubai tour packages to experience the best of Dubai.